International drivers are especially vulnerable to exploitation because they are far from home, don’t know the labour laws of the countries they pass through, and often don’t speak the local language. That is why ACV-Transcom organised an action week on different parking spots in Flanders to inform drivers about their rights. Trade union activists distributed leaflets in English, Polish, Romanian and Bulgarian. 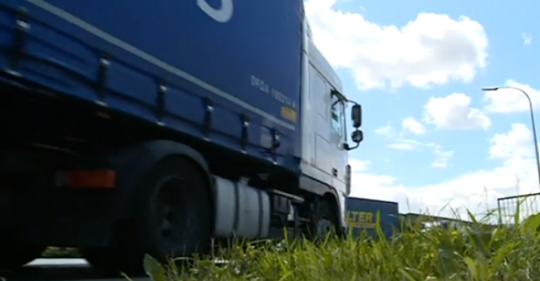 The fact that foreign drivers know and claim their rights is also in the interest of Belgian truck drivers, because only in this way a level playing field can be created. Later that week, the union also participated in the European manifestation in Strasbourg against the proposals for the Mobility Package.